Posted in: Media Release, Put A Name with This Face, Reward, WANTED. Tagged: Barnes. Franklin Police and the FBI are investigating a Friday evening bank robbery. It happened at the SunTrust Bank, 731 Cool Springs Boulevard, at about 5:45 pm. The suspect pictured here entered the bank with a gun, threatening staff and a customer inside. Bank employees complied with the robber’s demand for cash, and the suspect fled on foot. Thankfully, no one was injured during the robbery. The armed and dangerous suspect is a tall, thin white male. He was dressed in all black, wearing a baseball cap, and had his face covered. Getaway vehicle information is currently unavailable. Workers from nearby office buildings who think they may have seen something that could help investigators are urged to call Franklin Police. Posted in: Media Release, Reward, WANTED. Tagged: Barnes. Today marks the 27-year anniversary of the murder of Peggy Cox. Franklin Police continue to search for Peggy’s killer, once again asking for the public’s help in solving the cold case murder of this mother who was shot to death while working the Murfreesboro Road Hardee’s drive-thru window on her 49th birthday. At 11:45 p.m. on February 1, 1991, Peggy Cox took an order from the drive-thru killer; when the vehicle drove up to the window, Peggy was shot with a small caliber handgun. She was discovered lying on the floor by a co-worker—her 20-year-old son, Jude. Cox was taken to the hospital, where she died of a single gunshot wound to her neck. Detectives conducted an extensive investigation but were unable to identify a suspect or motive. Over time, the case went cold. Posted in: Crime Stoppers, Media Release, Put A Name with This Face, Reward, Update, WANTED. Tagged: Barnes, Dilworth. 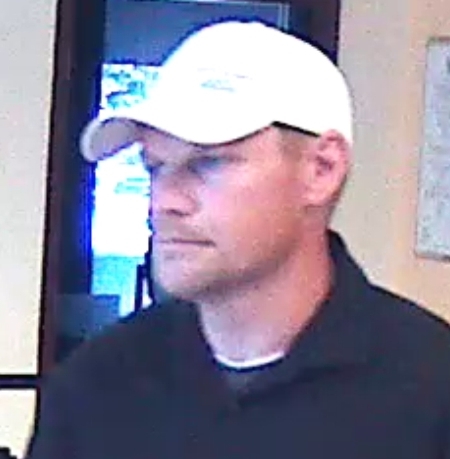 Franklin Police are still searching for the suspect who robbed a Berry Farms bank on August 15. The suspect was linked to another that occurred a short time earlier that same day in Murfreesboro. These photos are from that Murfreesboro robbery. A cash reward is being offered for information in this case. Posted in: Crime Stoppers, Media Release, Put A Name with This Face, Reward, WANTED. Tagged: Barnes. Franklin Police and the FBI are investigating a Tuesday afternoon bank robbery. It happened at the Franklin Synergy Bank, 40 Moss Lane, shortly after 4:00 pm. The suspect pictured here entered the bank and approached the teller counter where he presented a robbery demand note. The suspect fled in a white Toyota Corolla following the robbery. No further information is currently known. Franklin Police and the FBI are investigating a Saturday afternoon bank robbery. It happened at the SunTrust bank, 1109 Murfreesboro Road, shortly before 1:00 pm. 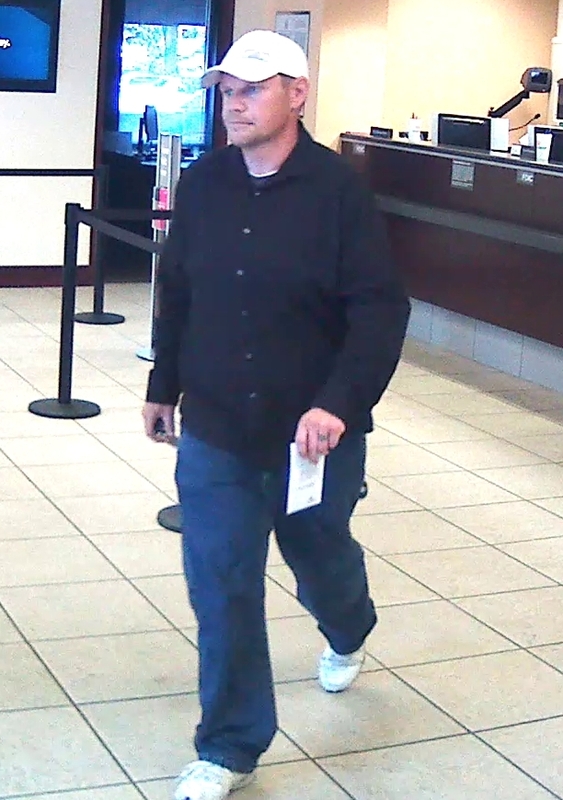 The suspect pictured here entered the bank and approached the teller counter where he presented a robbery demand note. The teller complied with the suspect’s instructions and then fled on foot. No further information is currently known. Today marks the 26-year anniversary of the murder of Peggy Cox. Franklin Police and the FBI continue to search for Peggy’s killer, once again asking for the public’s help in solving the cold case murder of this mother who was shot to death while working the Murfreesboro Road Hardee’s drive-thru window on her 49th birthday.